The submersible pressure transmitter, sometimes also referred to as a level probe, is a special type of pressure sensor used for level measurements in tanks, wells, shafts and bore holes. For level measurements, the level probe is submersed directly into the medium and directed as close as possible towards the bottom of the tank/vessel or shaft/bore hole. The level probe measures the hydrostatic pressure which makes it possible to draw conclusions regarding the current level, i.e. the height of the liquid column above. Practically this takes place by “submersing” the probe at its connecting cable. The application is therefore quite easy. 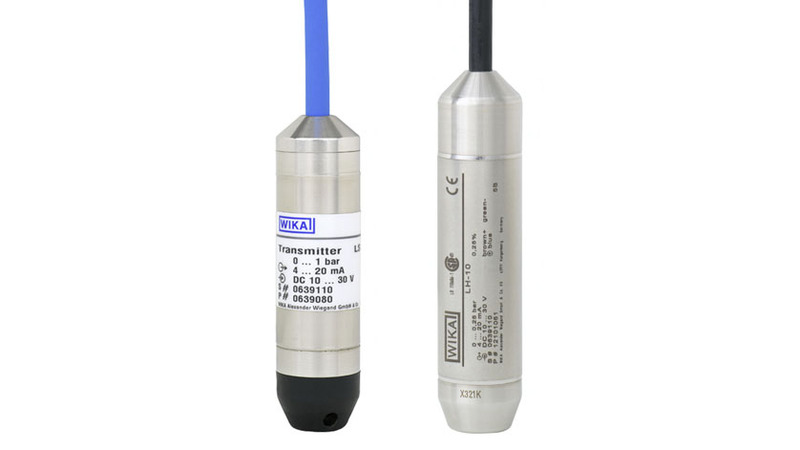 The most important quality features are the resistance and tightness of the level probe or the connecting cable to the media as well as to the the prevailing pressure and the mechanical stress of the body and the cable. A submersible pressure transmitter is often used in water and wastewater industry.